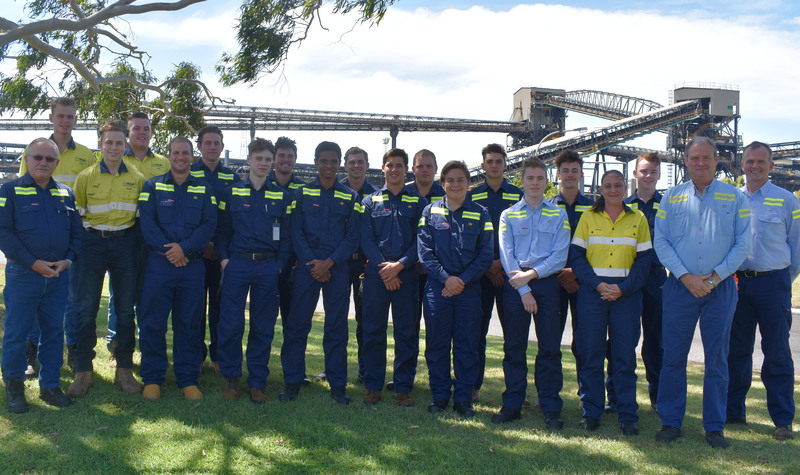 Fourteen apprentices, trainees and three work experience students have taken their first steps in their new careers at the Port of Gladstone, after accepting their invitation into Gladstone Ports Corporation’s (GPC) Apprentice and Trainee program. There were more than 700 applications received for the program this year, reflecting a continued strong interest in trade training and careers at GPC. The successful participants will engage in a variety of disciplines such as Electrical, Diesel Fitting, Mechanical and Horticulture. GPC Acting Chief Executive Officer Craig Walker says the 17 new starters have been given an invaluable opportunity to learn their chosen trade under the guidance of our skilled supervisors and mentors, each keen to see them succeed. “We are absolutely committed to providing strong employment outcomes for our apprentices and trainees and look forward to helping and guiding them create long term career pathways in their chosen trades,” Mr Walker said. 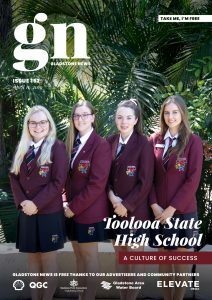 “We aim to support them to develop world-class skills and expand their horizons, both at GPC and within the Gladstone community. The new starters have hit the ground running, with an intensive program that includes exposure to scheduled port area rotations, performance setting and appraisals, and a priority focus on safety in the workplace,” he continued. 17-year-old Benton Philips is keen to get straight into his electrical trade, looking forward to learning skills that will set him up for his future. “I’m excited to learn first-hand about my chosen trade, this opportunity will set me up for my future and I’m looking forward to building relationships with my new team mates and the wider port family,” Mr Philips said. The apprentices and trainees will spend up to four years at GPC, learning their chosen trade.